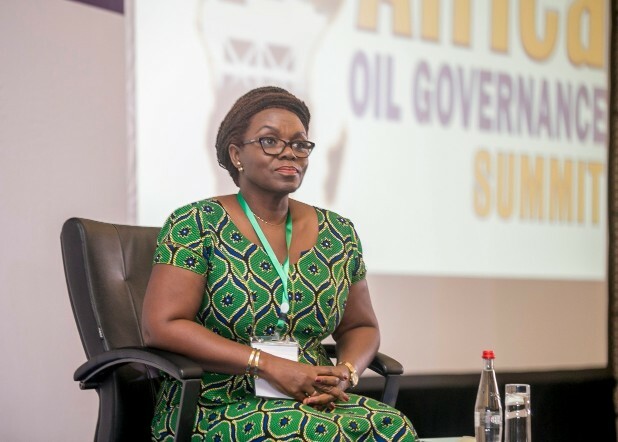 The Africa Oil Governance Summit is an annual event that brings together stakeholders in Africa’s petroleum industry to deliberate on emerging governance issues in the sector. 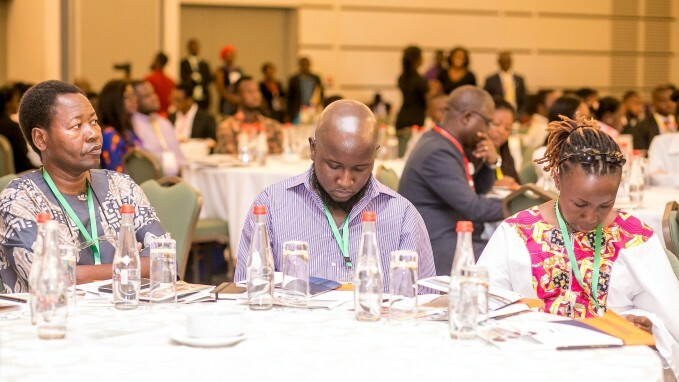 Instituted in 2015, the summit provides a unique platform where stakeholders in Africa’s petroleum industry share best practices on maximizing the benefits of resource extraction through efficient governance approaches. The Africa Center for Energy Policy (ACEP) realized the need for the African continent to consolidate gains and right wrongs made from the management of petroleum resources and initiate dialogue aimed at translating the extraction of oil into socio-economic development. The Center recognizes that the vehicle to this is to strengthen governance frame work that reduces incentives for corruption, builds capacity and invests revenues efficiently. 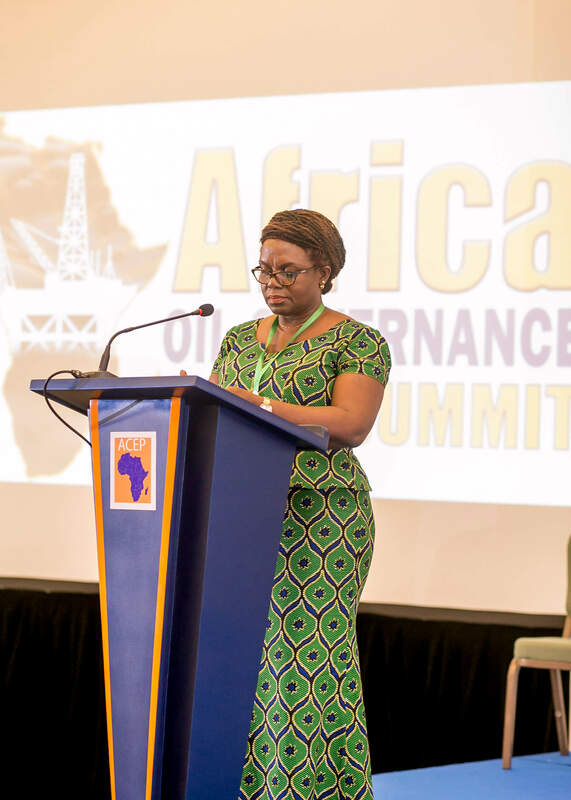 The maiden Summit in 2015 broadly discussed governance issues in Africa’s oil resources. It touched on contract transparency, local content issues, institutional development and revenue accountability. 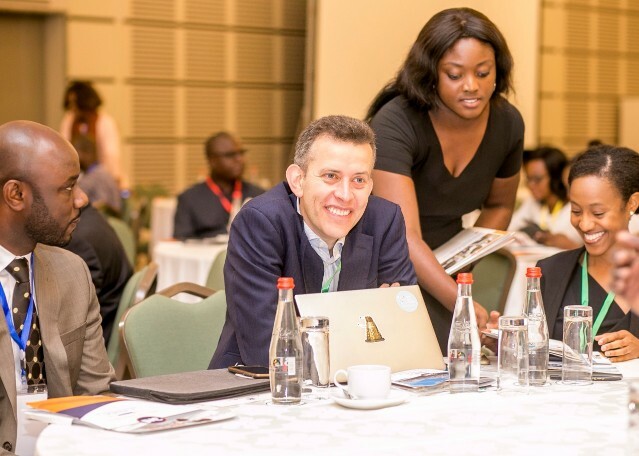 In 2016, the summit focused on survival strategies for Africa’s oil producers amidst low oil prices, and the 2017 summit focused on the developmental implications of open contracting in upstream oil and gas, and revenue management and utilization. The 2018 summit will focus on increasing the impacts of local content policies in resource-rich African economies. Local content policies have become priority for policy makers in resource endowed countries who largely depend on their extractive sectors to support sustainable economic growth and development. The implication of local content polices are diverse: it could mean job creation, value addition and industrial development, and local economic growth through forward, sideward and backward linkages of the extractive sector to the rest of a nation’s economy. All these emanate from the enormous potential of the extractive sector in generating revenue and other indirect benefit to the economy. Local value addition and beneficiation, which is basically aimed at downstream promotion and lastly measures aimed at integrating upstream, downstream, and also the overall effects on local business growth. Aim to leverage the extractive value chain to generate sustained and inclusive growth through economic diversification and employment opportunities. Generate opportunities for regional integration and international trade and can gradually reduce countries’ dependence on external aid. Depend on early engagement and collaboration among government, extractive industry companies, and communities. However, when it comes to its implementation, several challenges emerge depending on the context of the country. Skills gap- there exists a wide skills gap in some African countries that make it difficult for extraction companies to employ nationals, particularly in technical roles. Governments should be thinking of how to breach the skills gap so as to take full advantage of the local content policies. Corruption and politically motivated procurements - it is no news that some political office holders push contracts to local companies which they have vested interest in or compel companies to partner these politically constituted companies. For example, in Nigeria, requirements to partner with local companies resulted in corrupt schemes wherein political elites created shell companies to profit from the law. Similarly, many suspect that the motivation for the national smelting requirement in the 2008 Indonesia mineral law stemmed from politicians seeking financial benefit for their smelting plants. Countries can mitigate the potential of corruption in local content by requiring transparent procurement processes and making information easily available to oversight actors, such as civil society and parliamentarians. Compliance with requirements to disclose the beneficial owners of extractive companies and subcontractors, such as those being piloted under the Extractive Industries Transparency Initiative, will also help reduce corruption and elite capture of local content opportunities. Poorly designed local content polices. Potential conflict with international agreements signed by member countries of World Trade Organization and how to create balance between satisfying these international demands and local content requirement. The signing of WTO agreements also limited the space within which local content polices can be legislated and implemented. For example, General Agreement on Tariffs and Trade (GATT) and General Agreement on Trade in Services (GATS) constitute bilateral agreements between member countries and this should not supersede national laws on local content. Care must be taken not to conflict local content policies with already signed WTO agreements. Some countries signed on to plurilateral agreement on government procurement (GPA). Under this agreement, members sign non-discrimination agreement between local and foreign suppliers. Local content measures are seen as anti-competitive measures that force international companies to comply with government policy targets in employment, or forcibly partnering with local suppliers or companies instead of searching for competent service providers based on cost or quality or services delivery. These challenges among many others are of concern to stakeholders and governments, whose aim is to maximize benefits from the extractive sector for improved socio-economic development. African countries cannot overcome these by working as individual countries; a strong continental coalition and networking is required to create a strong and viable voice as one continent. A key output of the summit will be a communiqué constituting demands for actions by governments and policy makers across the continent of Africa. The communiqué will form a strong basis for program development and advocacy to influence government policy in maximizing returns on extractive resources particularly through local content provisions. It will also serve as the benchmark for measuring post-Summit progress and achievements. Africa Centre for Energy Policy (ACEP), partners and allies met in Accra from the 23rd and 24th of November 2016, to review and reflect on progress made by the country and Africa as a whole in the governance of its oil resources and to build the desired consensus on a road map to resource prosperity. The summit focused particularly on how good governance from oil wealth can be translated into development in Africa and how the continent could be assured to move away from the oil resource curse. For good governance to be achieved, participants agreed that it was paramount to pursue transparency and accountability in the oil resource sector. In ensuring transparency, it was acknowledged that some African countries have made impressive progress such as the adoption of open and competitive bidding processes for granting oil concessions. Particularly for Ghana, the government has propelled the institutionalisation of a number of processes including the setting up of the Petroleum Commission Act, the Petroleum Revenue Management Act (PRMA) and the Public Interest Accountability Committee (PIAC) amongst others. 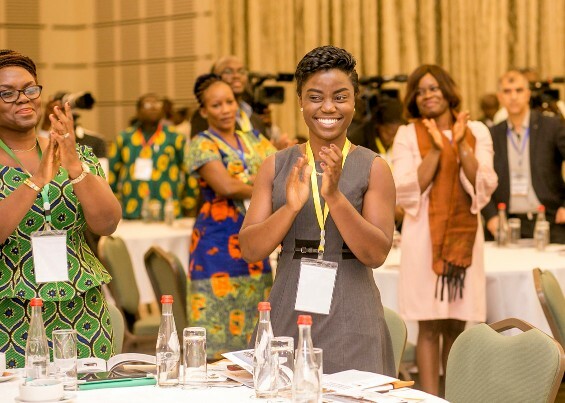 These demonstrate the strong foundation being laid to promote good governance in the oil sector in Ghana which sets an example for other African nations. However it was agreed that more could be and needed to be done in terms of promoting accountability. Participants agreed that it was time for transparency to translate into accountability. The speakers for this year’s summit have been drawn from different countries with a great track record in governance, the petroleum sector, oil and gas and the total management of natural resources. Last year’s speakers share some similarities with this year’s speakers. However because of the different theme, most are new. They are not only dynamic in their area of expertise, but wield extraordinary knowledge which when tapped into, will go a long way in shaping our developmental process toward excellence. Though the summit is centred on Africa, some of our speakers through years of partnership will come from outside Africa to contribute their rich experience from their continent to the efforts the continent of Africa is making towards good governance of its natural resources. It is indeed worthy to note that, the spirit of knowledge sharing is where individuals acquire the bigger understanding of the issues in managing natural resources and subsequently making tangible recommendations of improvement. Therefore the speakers for this summit bring on board experiences and knowledge aimed at transforming the understanding of individuals, institutions , nations and impact on the world at large. Stephen Dhieu Dau was born in Melut County, Upper Nile State. After completing his secondary school education in Renk secondary school (1982-1985), he was accepted at the University of Cairo, Egypt, where he studied and graduated with a Bachelor’s Degree in Commerce in 1990. He holds a Post Graduate Diploma in Banking from the Higher Institute of Financial Banking Studies Khartoum in 1994 and a Master’s Degree in Banking Studies from the Sudan University of Science and Technology, Khartoum in 2005. Stephen Dhieu is a career Banker. He joined the Central Bank of Sudan in Khartoum in 1991, where he undertook several professional courses in various Banking operations in the Gulf and UK. He progressed in the Bank to a senior position in 2005, one of the few South Sudanese Central Bank officials that attained such a position, and also the former Minister of Petroleum and Mining and currently the Minister of Trade and Industry. Theophilus Ahwireng is an Upstream Petroleum Industry executive with 25 years of progressive technical, business and management experience mainly in the Upstream Petroleum industry. 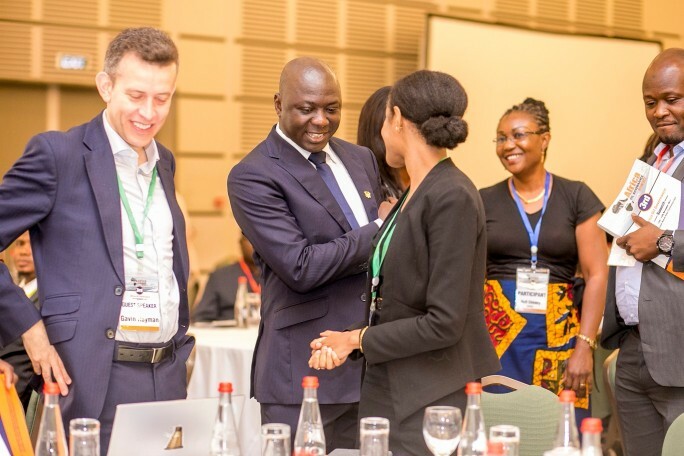 Theo spent most of his career with the Ghana National Petroleum Corporation where he undertook and led a number of projects in data acquisition, prospect generation, resource assessment, negotiation, licensing, system analyses and deployment, and the management of non-operated hydrocarbon assets. In the Gold Industry, he led the successful turnaround of Prestea Sankofa Gold Limited in Ghana. 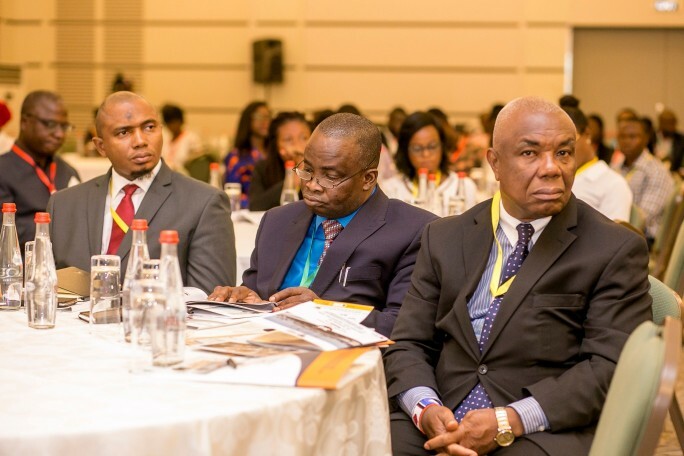 Currently, he is the Acting Chief Executive of Ghana’s Upstream Petroleum Industry Regulator, Petroleum Commission. Theo holds a BSc in Physics (KNUST), an MSc in Geophysics from the International Institute for Aerospace Survey and Earth Sciences, the Netherlands and an Executive MBA (Finance) from the University of Ghana Business School. She holds a BA from Harvard University; JD and MA in International Affairs, Columbia University. She is currently the Director, Columbia Center on Sustainable Investment; which oversees research and global advisory work in three focus areas: investments in extractive industries, investments in land and agriculture, and investment law and policy. She is also Member of the UN Sustainable Development Solutions Network's thematic group on the Good Governance of Extractive and Land Resources. - Country Director at World Bank, Ghana, Liberia and Sierra Leone. He is the Coordinator at the Third World Network, Ghana. He was the founding Editor of the Public Agenda newspaper set up as part of building an non-profit policy advocacy. He taught in the faculty of Law at the University of Ghana as a Teaching Assistant. He was also a Senior Editorial Consultant with the West Africa Magazine. Dr. Onyekwena is a Senior Research Fellow and head of the Global Economic Governance program at Centre for the Study of Economies of Africa. He holds a Ph.D in Economics from University of Portsmouth,UK, a Master of Science degree in Economics from University of Kent, UK and a Bachelor of Science in Economics from University of Nigeria, Nsukka. Dr. Onyekwena is a member of the advisory group of the Africa Global Economic Governance Project, a joint initiative of the International Development Law Unit at the University of Pretoria and the South African Institute of International Affairs (SAIIA). His research interest is mainly in the areas of Financial Inclusion, Food security, Foreign Direct Investment, and Firm productivity. Dr. Onyekwena had worked previously as a part-time lecturer at Economics Department of University of Portsmouth. Dr McPherson was a Tax Policy Adviser in the Fiscal Affairs Department at the International Monetary Fund, with particular responsibilities for fiscal and financial policies in natural resource-rich countries. Prior to taking up his position at the Fund in 2007, he was Senior Adviser on Oil and Gas at the World Bank. His work at the Bank focused on petroleum sector reform and sector lending activities in a wide range of countries. He also managed the Bank's participation in the Extractive Industries Transparency Initiative (EITI). Before joining the Bank, Dr. McPherson spent 15 years at two international oil companies, holding a variety of senior positions in international negotiations and government agreements. He received his B.A. in economics and political science from McGill University, M.Sc. in international economics from the London School of Economics and Political Science, and Ph.D. in economics from the University of Chicago. He is a Canadian and British citizen. Mr. Anthony is the M.D. of the Association of Caribbean Energy Specialists (ACES). He is Adviser to the Minister of Petroleum, Republic of Ghana and Chairman of the Trinidad and Tobago Permanent Local Content Committee. He has worked over 30 years in oil and natural gas, in technical, commercial, managerial and leadership roles. He delivers strategy and business development support to investors and governments, by critical analysis and advice on interrelated aspects of the industries, including; policy, regulatory, technical and commercial matters. He is an advocate of local content and value-added, deepening of local participation and sustainable development from extractives. He holds BSc (Hons) Geology, Imperial College of Science and Technology, Univ. of London and MS Exploration Geophysics, Univ. of Houston, TX, USA. He has served on the Boards of major Caribbean companies (in Finance, Engineering, ICT and Mining), of education and public institutions, business and professional associations. 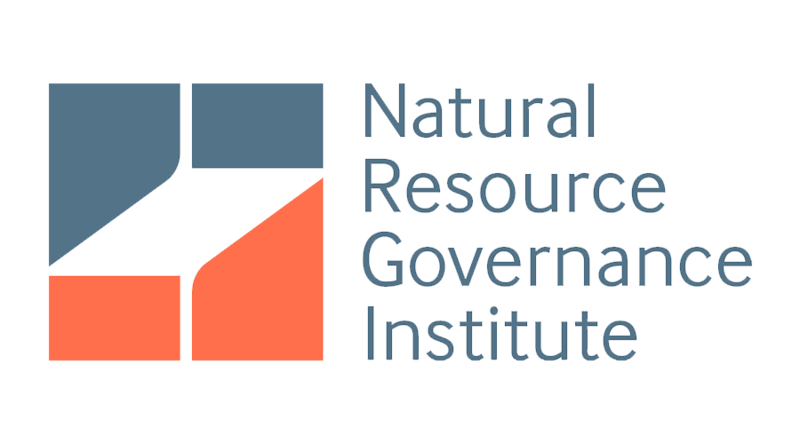 He serves on the Advisory Council of the Natural Resource Governance Institute. He is a past president of the Geological Society of Trinidad and Tobago. He was a member of Trinidad and Tobago's negotiating team for the Maritime Boundary delimitation Treaty with Venezuela and of the UN Expert Panel that developed the Deep Sea Bed Mining Code, under the UN Convention on the Law of the Sea and evaluated applications and recommended award of the first deep sea mining licenses. He is the Member of Parliament for Ketu North and the Chairman of the Finance committee of Parliament. He also serve on a number of committees in Parliament. He is the member of Parliament for Wenchi and a member of the Finance committee of Parliament. Dr. Nii Moi Thompson is the Acting Director General of the National Development Planning Commission (NDPC). Until his appointment, Dr. Thompson was an Economic Adviser to the President. He is currently the chairman of the Public Interest and Accountability Committee, Ghana. Ghana oil and Gas service provider’s association representative. He is the Team leader of western region coastal foundation Takoradi, Ghana. Rugemeleza Nshala, is a Doctor of Juridical Studies (S.J.D) candidate at Harvard Law School. He holds a Bachelors of Laws Degree (LL.B) from the University of Dar es Salaam, Tanzania (his home country), which he obtained in 1993; the Masters of Laws Degree (LL.M) from Harvard Law School and Masters of Environmental Management (MEM) from Yale School of Forestry and Environmental Studies that he obtained in 1997 and 2007, respectively. In 1994, he co-founded Lawyers' Environmental Action Team (LEAT), one of the first public interest environmental law organizations in eastern and central Africa. Its formation spurred the formation of similar organizations in other African countries. His dissertation focus is on the regulatory and tax law reforms in the mining industry in African countries. This issue is important because African countries have, since the late 1980s, amended their mining and tax laws to pave the way for foreign investment in the sector, often at the urging of the World Bank. They have also privatized their state-owned mining companies. For his research, Mr. Nshala has carried out field research in Ghana, Tanzania, Zambia and Botswana. He has also undertaken extensive research of FDI and negative repercussions of investment incentives on mineral-rich countries. Ishmael Ackah is the Head of Policy Unit at the Africa Centre for Energy Policy (ACEP), Ghana. He has contributed to a number of research and reports on Oil Revenue Management, Budget Tracking, Governance Issues in the Extractive Industry, investment in energy, energy efficiency and efficiency of Distribution in the Power Sector. 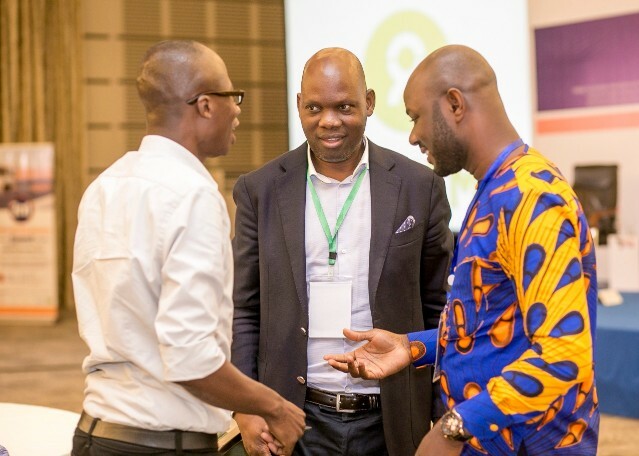 ACEP is an African energy policy think tank, an advisory based organization working with partners around the World and especially in Africa to harness the potential of Africa's vast energy resources (oil, gas and renewables) for the accelerated development of the Continent. The Centre recently added mineral policy to its portfolio following the demand by stakeholders to expand our reach to helping address the problems facing Africa's mining sector. Ishmael also lectures Energy Modelling and Analysis at the Kwame Nkrumah University of Science and Technology, Ghana. 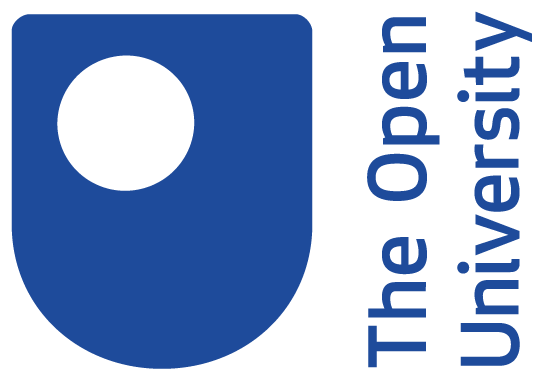 Ishmael has published on energy policy, energy demand modelling, natural gas and governance issues in the oil and gas industry in OPEC Energy Review, OGEL, Sustainable and Renewable Energy Resources among other journals. Ishmael holds PhD in Energy Economics and Policy from the University of Portsmouth, UK and Msc. 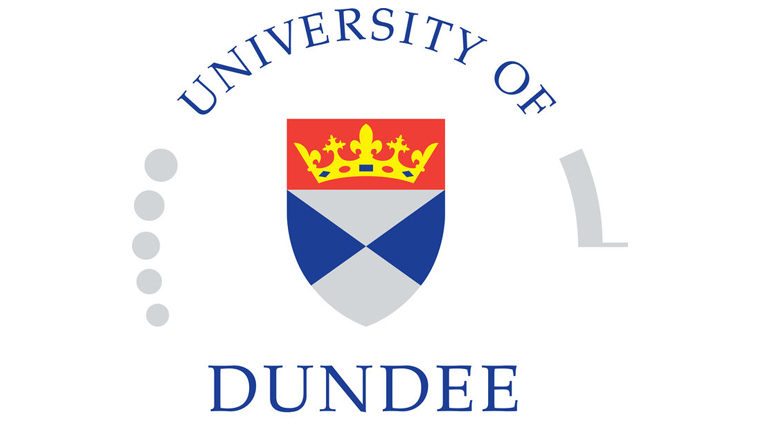 Energy Economics and Policy from the University of Surrey, UK. Charles Wanguhu is a social activist and is the coordinator of the Kenya Civil Society Platform on Oil and Gas. At the platform, he coordinates civil society organisations to provide a collective voice on Oil, Gas and broader extractive issues. Wanguhu previously headed the programmes department at the Africa Centre for Open Governance (AfriCOG) - a think tank with a focus on the structural causes of corruption. Prior to joining AfriCOG he worked with the Kenya National Commission on Human Rights (KNCHR) and also spent a period at the Danish Institute for Human rights (DIHR) in Copenhagen. Wanguhu is an alumnus of the Draper Hills Fellow Program at Stanford University's Center on Democracy, Development, and the Rule of Law. He holds an LLM in International and Commercial Dispute Resolution. Wanguhu has contributed to civil society reports, academic pieces aswell as a recent book -Africa's New Oil by former BBC journalist Celeste Hicks. Wanguhu has made keynote presentations at Chatham House, Presented at panels at the Brookings Institute as well as at key African Union meetings. 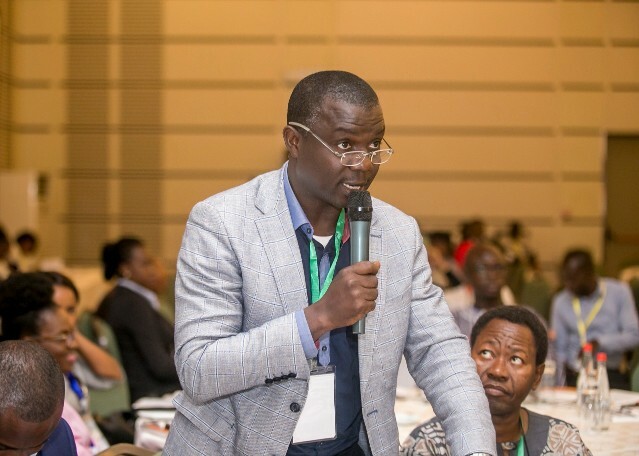 Dauda Garuba is currently Nigeria Officer at the Natural Resource Governance Institute (formerly the Revenue Watch Institute – RWI). He has many years of West African-wide experience on academic and development policy research, project design and management, capacity building, advocacy and grant-making on questions of governance, democracy, democratisation and natural resource management, transparency and social accountability, public policy and administration, peace and security (including security sector reform) and development Dauda holds a PhD in Political Science (with specialisation in International Relations) from the University of Benin, Benin City, Nigeria. His doctoral thesis is entitled: "Global Roots of Oil Theft: Illegal Oil Bunkering in Nigeria's Niger Delta. Honourable Ben Dagadu is the current Deputy Minister of Energy and Petroleum in Ghana where he oversees the development of policies and legislation in the oil and gas sector. He has MSc. in Petroleum Engineering from Technical University of Heavy Industry in Miskolc, Hungary and more than thirty (30) years’ experience in the oil and gas industry. The Honourable Ben Dagadu has held a number of distinguished positions throughout his career including manager of Field Evaluation and Development at Ghana National Petroleum Corporation, Energy consultant to the Ministry of Energy and Petroleum and Atholl Energy Ltd and as the Executive Director of A-Z Petroleum products Ghana Ltd.
Tumi Makgabo (born c. 1974/75) is a South African television presenter, best known for her work from 2000 to 2005 as a current affairs presenter at Cable News Network (CNN) International and anchor of its Inside Africa programme interviewing among others Thabo Mbeki, George W. Bush, Shimon Peres and Oprah Winfrey. She was based at the headquarters in Atlanta. A businesswoman and entrepreneur, Tumi Makgabo runs AfricaWorldwide Media. She is also the founder of Tumi Makgabo Enterprises. She currently serves on the boards on Sun International, South African Tourism and Pink Drive, and is one of the patrons of the Future of the African Daughter Project. Ms. Ikal Angelei is Program Coordinator for Friends of Lake Turkana, Kenya, which works to stop plans to build the Gibe 3 Dam in Ethiopia. Ikal Angelei is a Kenyan politician and environmentalist. She was born in Kitale. She was awarded the Goldman Environmental Prize in 2012, in particular for her voicing of environmental implications of the Gilgel Gibe III Dam, speaking on behalf of Kenyan indigenous communities. He is the Member of Parliament for Damango and a member of the mines and Energy committee in Parliament. 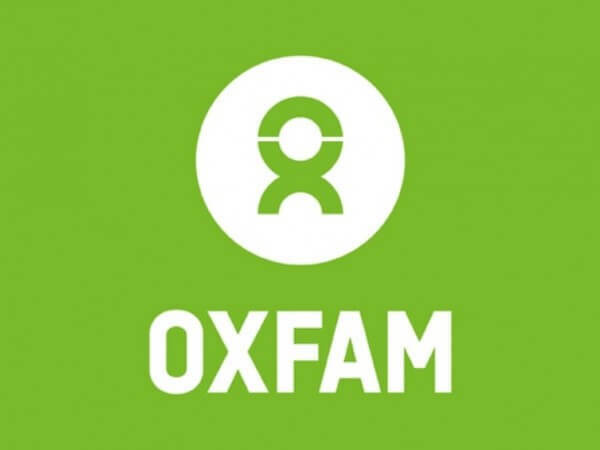 Pan-Africa Policy Advisor, Extractive Industries at Oxfam International Previous: Institute for International Affairs, Italy and OCP Foundation, Morocco, Centre for the Study of the Economies of Africa, the North-South Institute Education: School of Oriental and African Studies, U. of London Development professional with specialisation in natural resource economics; extractive sector governance; oil, gas, and mining sector regulation; the political economy of oil in Nigeria; the political economy of Nigerian and African development; and energy geopolitics. 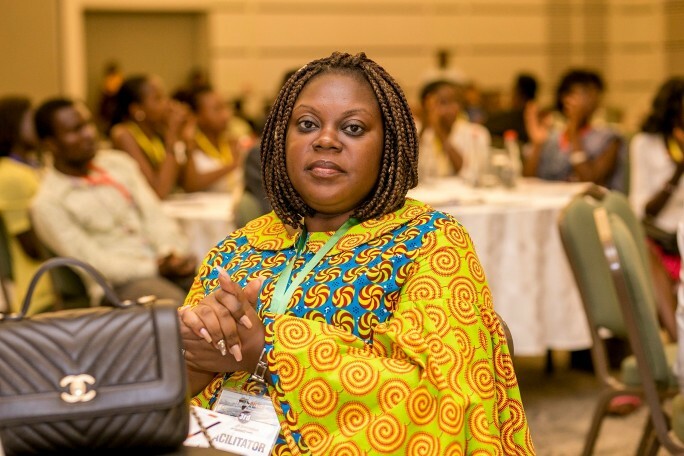 Board Chairperson for Africa centre for energy policy Lecturer in Leadership, Ethics and Corporate Social Responsibility Ghana Institute of Management and Public Administration Dr. Jemima Nunoo coordinates Governance, Gender and Leadership programs. 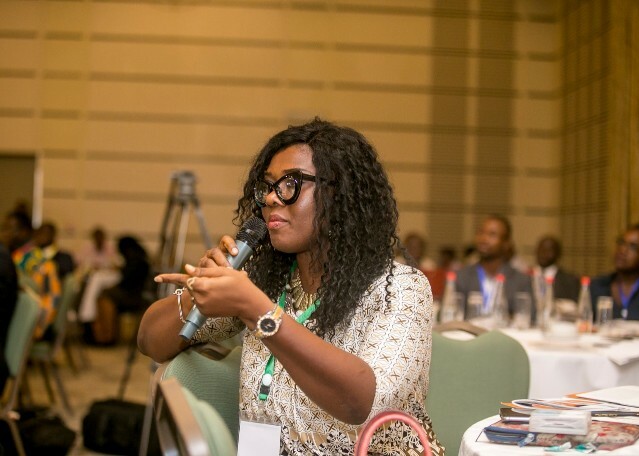 A lecturer in Leadership, Ethics and Corporate Social Responsibility at the Ghana Institute of Management and Public Administration, she studied at the University of Birmingham; SOAS, University of London; and the University Of Nottingham, UK. 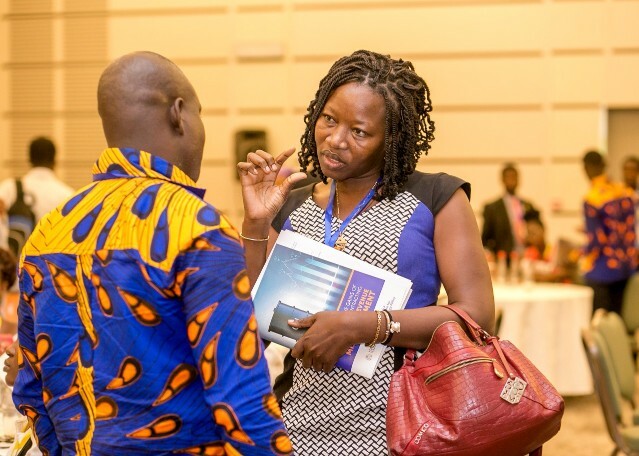 A former Research Fellow at the Institute for Democratic Governance, she headed projects on public expenditure and small scale agriculture, tackling educational needs in the Northern part of Ghana. 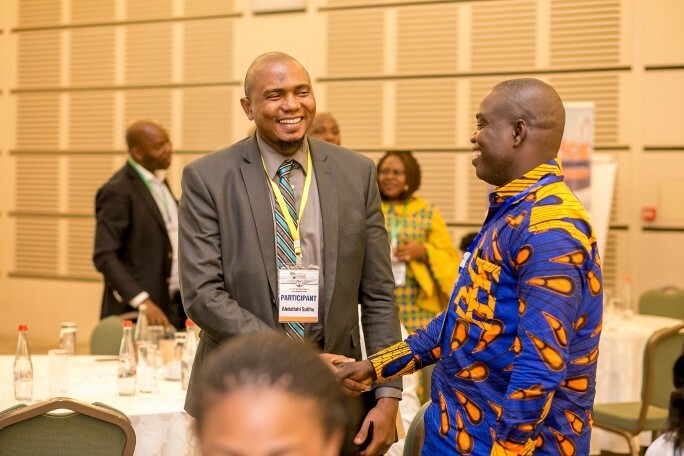 Executive Director at Africa Centre for Energy Policy (ACEP) Mohammed holds a PhD from the University of Dundee specializing on fiscal policy options in resource rich economies and an Mphil (Economics)/B.A (Hons) Economics from the University Of Cape Coast. 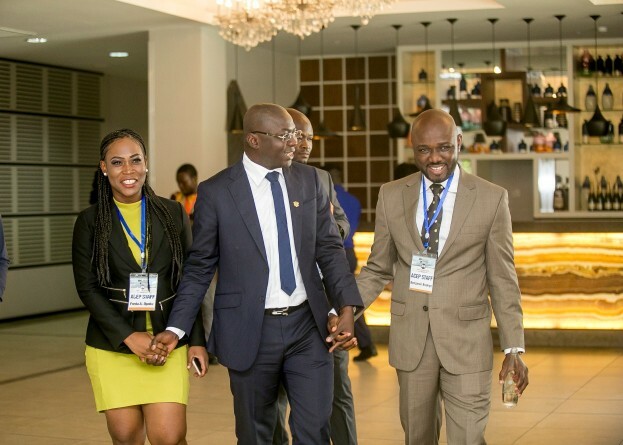 His experience in the public sector covered his work as an Energy Policy Analyst at the Ministry of Energy in Ghana, Commissioner of Ghana’s Public Utilities and Regulatory Commission; and as a former Deputy Minister and Mayor of Ghana’s third city of Tamale. Before joining ACEP, Mohammed was the Coordinator of Ibis’s extractives industries programme in Africa. He has also worked as the Oil Coordinator of Publish What You Pay Ghana He has consulted for national, African and international organizations including the world Bank, GIZ, African Parliamentarians against Corruption, Ghana’s Public Interest and Accountability Committee, Ghana’s Ministry of Energy, Oxfam America, and served as a member of the consortium that worked on Ghana’s first EITI Report on Oil and Gas. 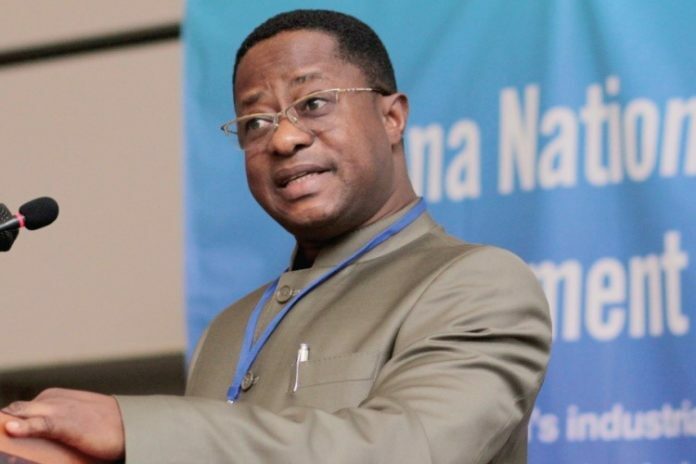 John-Peter Amewu holds an MBA (Finance) from University of Ghana. He also has a Post Graduate Degree (Executive MBA in International Energy Industry Management), and Masters in Petroleum Law and Policy from University of Dundee (UK). Presentation of Paper by Dr. Richmond Atta Ankomah and Prof. Giles Mohan. Mr. Richard Amenuveve (Chief Revenue Officer, Large Taxpayer’s office-GRA). Topic: Local content vs. investment attraction-international investors perspectives. Topic: Markets as regulatory mechanisms: indigenous companies and local content requirement policies in extractive industries. Speaker: Rafael Macatangay (Lecturer in Energy Economics-Teaching and Research, School of Social Sciences, University of Dundee). For more Check our Facebook page. The Conference can help you connect with Industry Experts. In addition, you can open your knowledge and contribute your ideas in this conference. Labadi beach hotel conference hall, Accra. Copyright © 2017 ACEP Ghana ALL RIGHTS RESERVED.